Do you want to make your wedding celebration grand and memorable for lifetime? Are you planning for the destination wedding in India for grand celebration? The destination weddings are perfect choices in present time to celebrate your most special location at a beautiful destination. When you plan the destination wedding, you always want to make it energetic and exciting for every guest. Now we are here to provide the best reasons to add such energy and excitement to your wedding events. We are working as the group of young and energetic Bhangra dances to entertain every guest on your wedding occasion. Now you do not need to worry to find the best in class Bhangra dance group for destination wedding. We understand the needs of people who plan the destination wedding for a grand celebration. In our group, you will find highly talented and energetic dancers who are able to entertain every guest on your wedding occasion with performance. We always believe to provide the best reasons of entertainment and smile to every guest in the wedding celebrations. If you are planning for the grand celebration in a destination wedding, we are here at Bhangra on Call to add the energy and vibrant colours to your destination wedding event. We provide the best packages of performances according to the requirements and needs of our clients. We also have the best facilities for professionally creative music with Dhol and other traditional equipment. We provide the options where you can choose the number of dancers for your destination wedding event. You never need to waste your time to search for the best entertainers because we are just a call away from you. We always make sure to make your events special and entertaining with such energetic and vibrant performance. We always believe to keep and maintain the smile on the faces of every guest in your events. With our grand performance, we make sure that every guest in the wedding event feels entertaining and energetic. 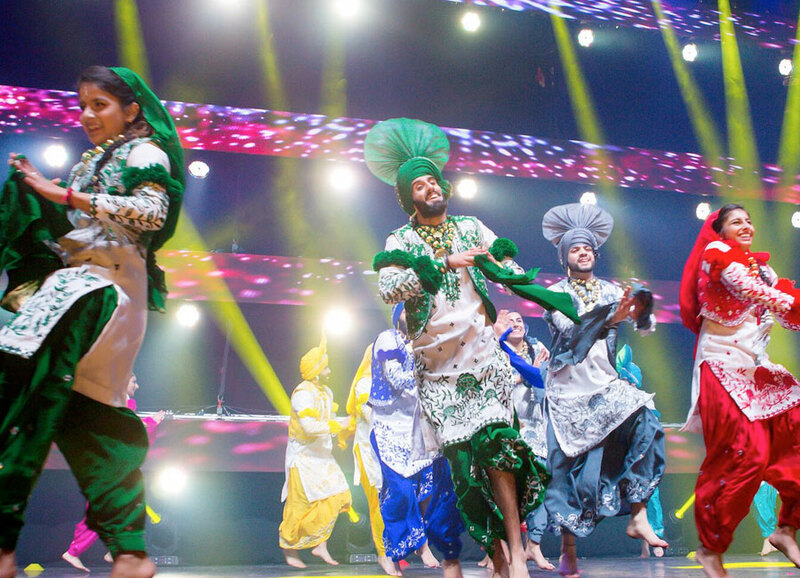 We try our best to make these Bhangra dance services affordable for your wedding occasions. We are comfortable to visit at best locations during the celebration of destination wedding events for our clients. So, what are you waiting for? Hire our amazing Bhangra dance group for destination wedding!